Iran unveiled a ballistic missile with a range of 1,000 kilometers (around 621 miles), according to the country's semi-official Fars news agency. 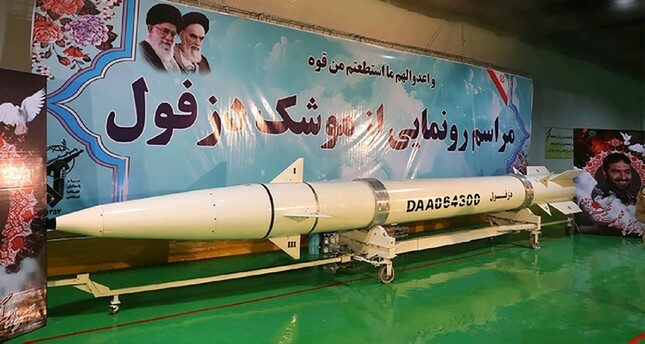 Iran's Revolutionary Guards inaugurated the surface-to-surface missile named "Dezful," which is an upgrade of an older missile called "Zolfaghar" that has a range of 700 kilometers (435 miles), the news agency reported. An underground missile production facility was also showed off during the unveiling ceremony. Speaking at the ceremony, Revolutionary Guard Corps Commander Major General Mohammad Ali Jafari said unveiling an underground missile production facility was an answer to Westerners who think they can stop Tehran from reaching its goals through sanctions and threats.